As the President of Share Our Strength, Tom Nelson oversees the day-to-day management of the organization, including working with the organization’s executive and senior teams to develop and implement its plan for strategic growth, particularly around the No Kid Hungry campaign. Prior to joining Share Our Strength in 2011, Tom was Chief Operating Officer for AARP, where he led the build-out of its state strategy in all 53 states and territories. He also led the reinvention of the AARP Foundation, which today serves those at risk of falling through our nation’s safety net as they struggle to meet their most basic needs. 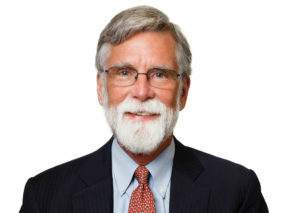 Tom serves as Adjunct Professor at Georgetown University’s McDonough School of Business, teaching in the MBA program about nonprofit leadership and management. He also serves on the Board of Counselors for the Davis Gerontology School at the University of Southern California, and is a board member of the Certified Financial Planner Board of Standards. Tom is also a board member of Community Wealth Partners, a Share Our Strength organization that helps change agents solve social problems at the magnitude they exist. Tom earned a doctoral degree from the University of Southern California and holds a Master of Arts from Columbia University.